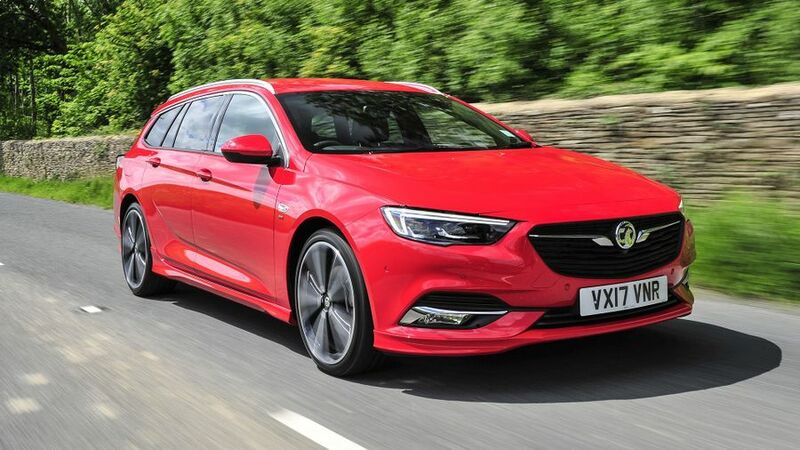 The estate version of the Insignia is a rival for the likes of the Ford Mondeo, Peugeot 508 and Skoda Superb, and it will be particularly attractive to business users. 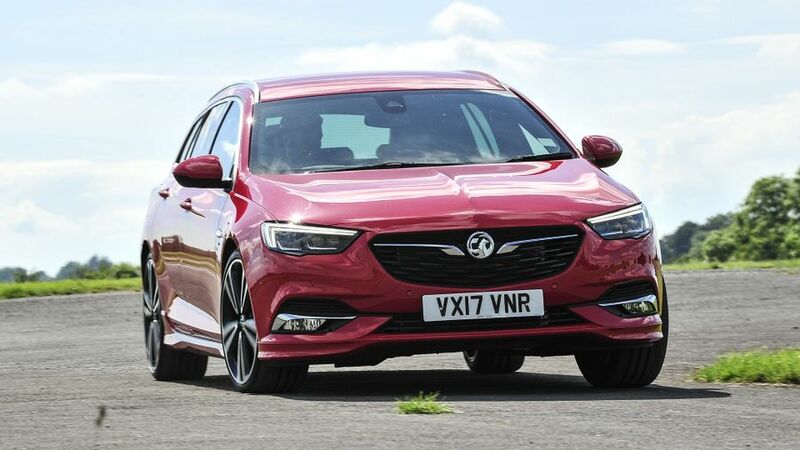 Judged by the sheer space and practicality it brings to the party, its high levels of standard equipment, and affordable BIK liabilities, there’s no denying this latest Insignia is an incredible amount of car for the money. Choose the right combination of engine and trim level, and your Insignia will provide great comfort and be refined over long distances. As always, with this kind of car, the Insignia makes far more sense for business users than as a private buy, but if your lease deal just happens to be up for renewal, the Insignia is well worth considering. A combination that strikes the right compromises: plenty of kit, and an engine that’s strong enough, but still with low running costs. Its economy is impressive, but its lack of performance could be an issue. Low price is attractive, but it’s better to spend a bit more for more equipment and a stronger engine. Styling is always subjective, but we reckon Vauxhall is making some pretty handsome cars these days. 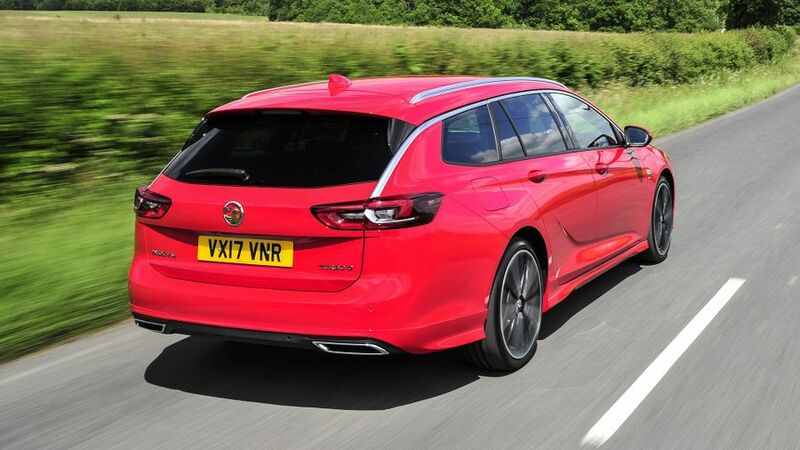 The Insignia is enhanced by a low slung bonnet and Vauxhall’s signature ‘blade’ moulding in the rear doors, while the combination of a chrome strip running over the windows and a crease running along the side through the door handles gives the car an almost coupe-like profile – not something you would expect of an estate car. Pretty much every model in the range comes with alloy wheels, and with each step you take up the trim levels, you smarten up the car even further. On SRi models, for example, you get tinted rear windows and silver roof rails; VX-Line version add a sports styling pack that includes unique bumpers and side mouldings; Tech Line models have chrome inserts in the door handles; and top-spec Elite Nav cars come with LED headlights. 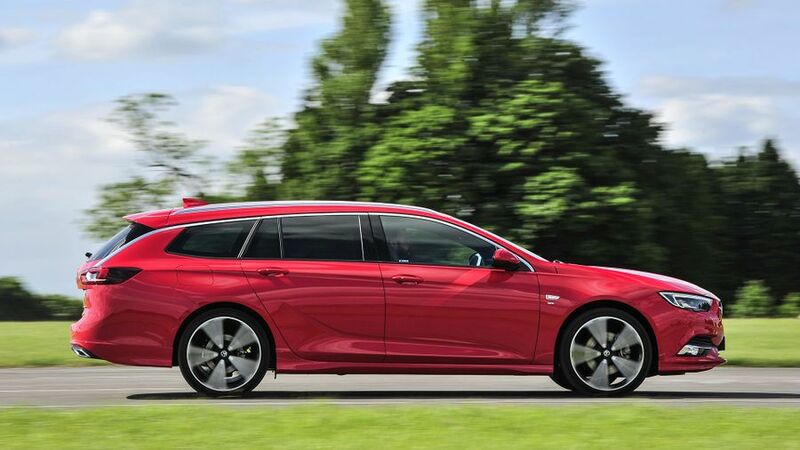 For a more rugged-looking estate, there's also the Country Tourer, which has extra mouldings on the outside, and has a raised suspension to give it extra ground clearance. The Insignia is a very smart and attractive thing inside, with a neat mix of virtual and hard instruments, and a touch-screen infotainment system that is fast to react, and displays crystal clear graphics. There’s also a little steadying platform for your left hand just below the screen, to help you hit the relevant icons more reliably when you’re on the move. The Insignia’s front seat provides superb support to the spine and shoulders, while the elevated central arm rest and low slung position of the seats help you feel like you are sitting in, rather than on, the seats. The amount of steering adjustment on offer is huge, so you should have no problem finding a comfortable driving position, but the wheel does need a good tug to move. Only stretched limos offer more interior space than family cars like this, and the Insignia is a perfect example. If you expected that coupe-like profile to translate into a lack of space and practicality, you’ll be very surprised. Not only is it easy to get in and out of the rear seats, you’ll find a vast amount of leg-, elbow- and head-room once you’re safely in there. That means the Insignia can carry three adults in relative comfort, although the transmission tunnel in the floor does restrict the amount of room for the middle passenger’s feet. Everything is easy to use, too. The Isofix child seat-fixing points are neatly hidden away behind a fold-down plastic flap, while the boot has a low lip to load luggage over, a long, flat floor, and straight sides in the luggage area. If you want to extend that area, the rear seat backs (which split into three sections on all but the most basic Design models) drop down easily to leave an almost flat floor. There’s more luggage space inside an Insignia than in a Ford Mondeo, but if you just want the biggest estate, you need to head to a Skoda retailer and ask for a Superb. If you’ve driven the previous Insignia, this model will come as a revelation. Apart from a slightly firm ride at low speeds, it’s pretty good and bears comparison to the best cars in its class. Overall, the ride is pretty comfortable, there’s plenty of grip, and the steering transmits some decent levels of information as to what the front wheels are getting up to. Although four-wheel drive versions are available, we’ve only driven two-wheel drive models. Likewise, although we have driven the Country Tourer, we've only had a very brief experience; but, that was enough to tell us that it still drives nicely, and that there is no obvious difference between it and the rest of the range. As with much in the Insignia, less is more: the smaller the wheels, the more comfortable the ride; and don’t bother with the optional sunroof, as it just generates extra wind noise at motorway speeds. And that’s a shame, because the car makes a great long-distance cruiser. Admittedly, the relatively soft suspension does mean the car’s body leans obviously in corners, but in a family car, that’s a price worth paying, especially when the car feels so secure and sure-footed. The Insignia is a big, heavy car, and as a result, none of the engines are blessed with particularly sterling performance. We think the 110PS version of the 1.6-litre diesel could well struggle with big loads, and even the 136PS unit struggles a little to get the Insignia moving, with the engine sounding harsh and noisy when you hit high revs in the first couple of gears. Thankfully, the engine has sufficient pull in the middle of the rev range, so once you are rolling, things improve markedly and you can keep up a good pace without too much hard work. The 170PS version (the only engine available in the Country Tourer for now) is appreciably stronger once you’re up and running, but it’s less refined, with more obvious turbo lag. If you prefer a petrol engine, the 165PS 1.5-litre turbocharged petrol engine is reasonably smooth and flexible, but it’s simply not that quick, and it suffers from quite a bit of stutter as you step on or release the accelerator pedal. Although not as slick as the manual gearbox in a Ford Mondeo, the Insignia’s manual gearbox is very good, and the eight-speed automatic is extremely smooth, so it’s sure to be a hit with those who regularly endure congested traffic conditions. No car company is more savagely competitive than Vauxhall. To start with, the Insignia’s list prices are very low, which helps towards very attractive leasing rates, and the lowly CO2 emissions ensure the Insignia remains one of the most compelling business propositions in the UK. That’s good news for business users, but it’s more of a mixed bag for private buyers, because alongside the good fuel economy and low insurance premiums, the values of used Insignias fall more dramatically than a South American striker. According to the Warranty Direct Reliability Index, Vauxhall sits slap-bang in the middle of the table of manufacturer rankings. 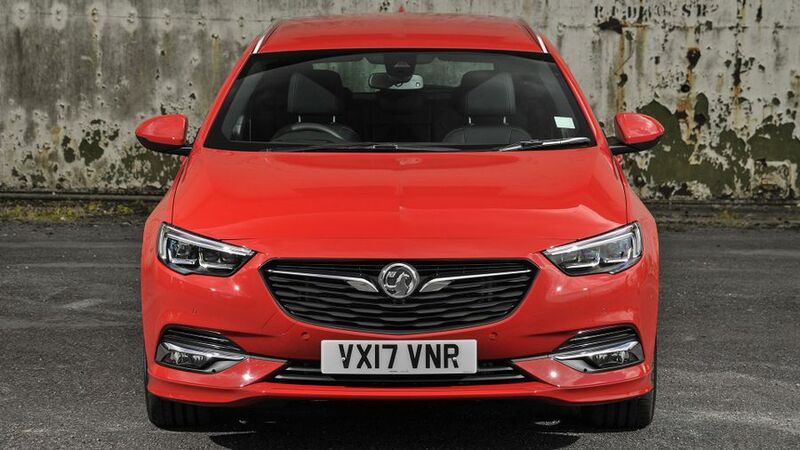 What’s more, the last Insignia was by no means the firm’s most reliable car, with a below-average rating, but since those cars have very little in common with this latest model, you’d hope that situation would improve. The three-year/60,000-mile warranty cover you get is pretty common, but some rival manufacturers are a lot more generous, including Toyota, who offer a five-year/100,000-mile coverage, and Kia who provide a seven-year/100,000 mile warranty. The Insignia comes with plenty of the latest safety kit, including Autonomous Emergency Braking, which will automatically stop the car if it detects a potential collision you fail to take account of. This system works at speeds under 25mph, which is arguably where it is most needed to help avoid contact with cyclists or pedestrians. Should you get into extreme difficulties, Vauxhall’s OnStar system will automatically contact the emergency services for you. There’s also a system that will alert you if you are getting too close to the car in front, and Lane Departure Assistance, which will help keep you in lane if you inadvertently pull out without indicating. Mandatory features like a tyre-pressure warning system and electronic stability control are complemented by an arsenal of six airbags, and it all helped to earn the car a maximum five-star safety rating from Euro NCAP. The Insignia range starts with Design trim – the only model in the range not to get alloy wheels – and runs up through Design Nav, SRi, SRi Nav, SRi VX-Line Nav, and Tech Line Nav, topping out with Elite Nav trim. Obviously, you don’t need the deductive powers of Sherlock Holmes to guess which feature the Nav trims add. All cars come with cruise control, Autonomous Emergency Braking, Vauxhall’s OnStar concierge service, keyless entry and go, an infotainment touch-screen, Apple Carplay, and automatic headlights. Moving up to SRi trim adds 17-inch alloy wheels, a rear spoiler, tinted rear windows, front foglights and automatic wipers, while SRi Nav adds sports seats and some extra interior lighting. Elite Nav comes with the whole nine yards, including leather seats and LED matrix headlights, while the Country Tourer comes with its own package of kit. Happily, this is as extensive as you would hope for on one of the most expensive versions of the car. Perhaps the pick of the options list is a head-up display, which projects information regarding speed, traffic signs, and navigation direction onto the windscreen. Depending on which way you look at it, the Insignia is either a marginal three-star car, or a strong four-star contender. As a private buyer you’ll need to take steps to overcome the heavy depreciation, but for a business car, things start to look a whole lot rosier. 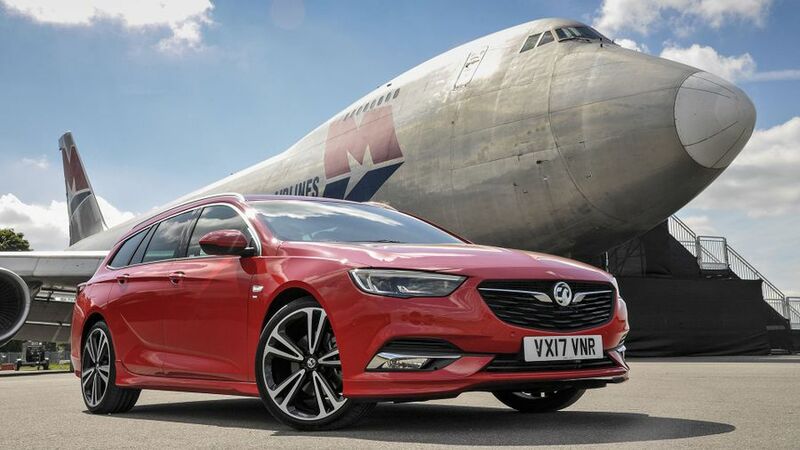 Safe in the knowledge someone else is doing the behind the scenes bartering, you can simply enjoy running your Insignia thanks to its swish looks, spacious, comfortable cabin, vastly improved driving dynamics and affordable running costs. Put simply, as one very accomplished work station, the Insignia is hard to resist.